Weddings. Corporate Outings. Parties. We can help you make your event something to remember! For over 31 years, Anita Dee Yacht Charters has specialized in fully customizable events aboard our two private & exclusive luxury yacht venues. Every detail is customized to meet our clients’ objectives. 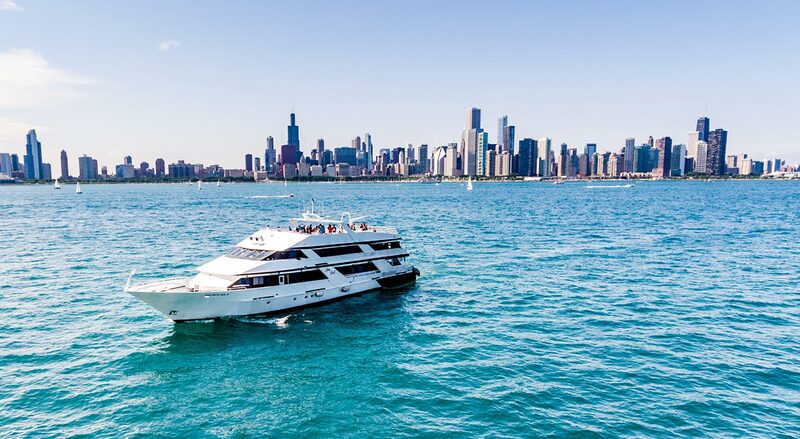 From the elegant decor to the exquisite cuisine, not one detail will be overlooked when you treat your guests to the stunning Chicago skyline setting aboard the Anita Dee I or the Anita Dee II. 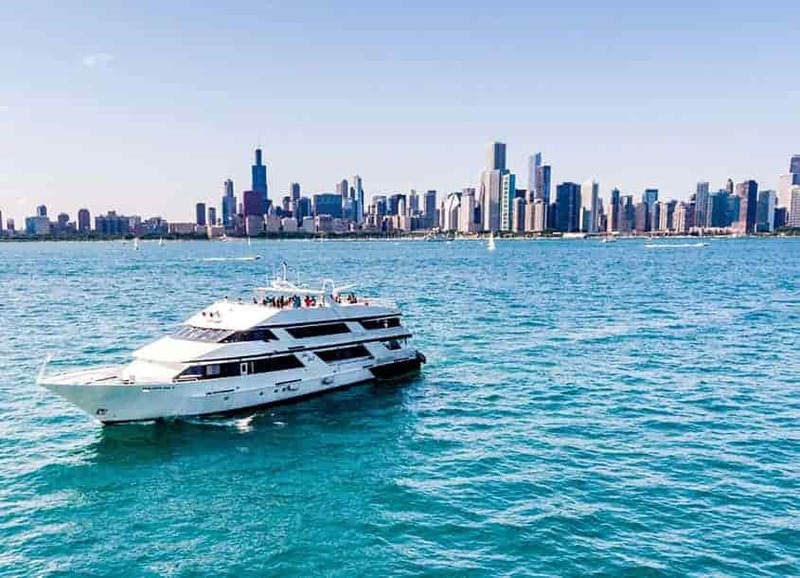 If you are looking to host an unforgettable event in the Chicago area, you should consider having your gathering onboard one of our luxury yacht charters. At Anita Dee Yacht Charters, our hospitality specialists have four decades of experience in providing our clients with one-of-a-kind private boat rental experiences. We can accommodate weddings, corporate events, parties, and special events. 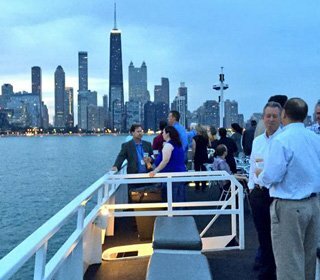 Onboard our customized boat cruise, you and your guests can enjoy state-of-the-art entertainment and gourmet food as your party sails pass Chicago’s majestic skyline. Our gorgeous yachts, our customized experience, and our attention to every detail are sure to leave a lasting impression. Contact our office today at (312) 379-3191 to learn more about how we can help you. Why Choose Anita Dee Yacht Charters? Anita Dee Yacht Charters offers all you could imagine and more. From carefree relaxation, to high-octane adventure, to treasured family moments, it is the ultimate escape from the Windy City. Moreover, we place you at the helm of your event planning vision. Our hospitality specialists will assist you in creating an unforgettable experience. We offer you the opportunity to choose your event dates and times, cruising routes, decor, floor plan, bar service, entertainment, and more. 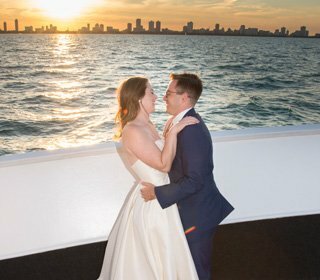 In addition, Anita Dee Yacht Charters has hand-picked some of Chicago’s best catering services to provide gourmet food from a menu that you select. Both of our luxury vessels are fully equipped with a full-service galley and top of the line entertainment systems to help create the perfect event. The possibilities are endless while onboard one of Anita Dee Yacht Charters’s private boat cruises. Let us help you create a truly spectacular event! Contact our office today at (312) 379-3191 to begin planning your adventure. Corporate Outings: We offer private boat rentals for business luncheons, client appreciations, networking, product launches, and everything in between. With elegant décor and delicious cuisine, our boat cruises can ensure a successful corporate affair. Parties: Anita Dee Yacht Charters can offer a unique venue for private parties. We design and customize every detail of the private event to fit your vision. We can accommodate a wide variety of social events, including birthdays, reunions, and fundraisers. Special Events: We are the place to go for a personalized event that steps outside the norm. 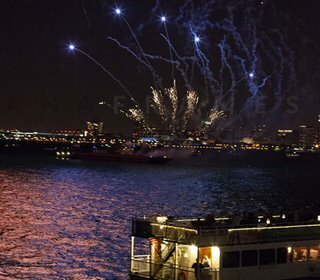 Imagine watching fireworks on the Fourth of July or the annual Air and Water show onboard on of our spacious luxury vessels. 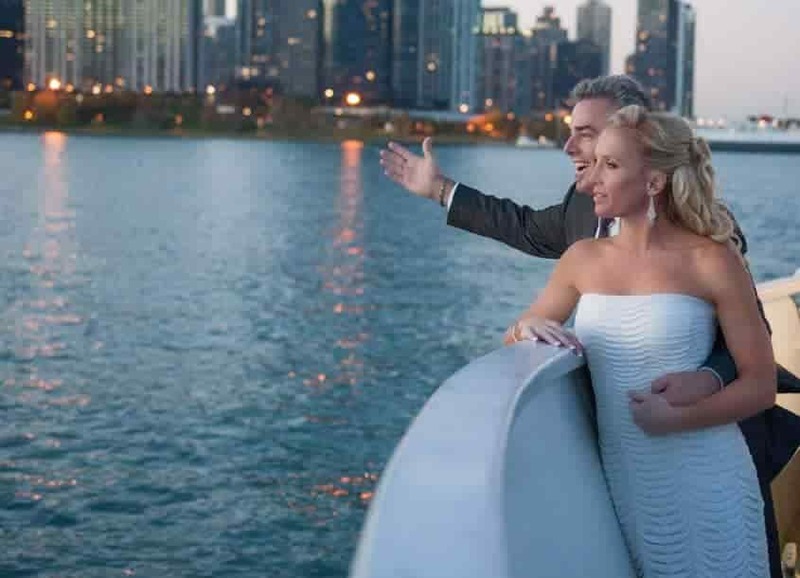 Book a private boat rental for your next event with Anita Dee Yacht Charters by calling (312) 379-3191 today. Cater by Design: For over 30 years, we have dedicated our services to creating sophisticated and artistically displayed cuisine. Beyond Events Catering: We promise to make a lasting impression on every occasion. Our catering service has two decades of experience in providing the highest standard of catering service for our clients. Harry’s Catering and Events: With us, our clients are treated to award-winning five-course meals that will leave everyone wanting more. Blue Plate Catering: Our lavish dishes can be custom-tailored to match your expectations and budget. Paramount Events: Our culinary experts can combine the high-quality service with local, sustainable food to your event. Food for Thought Catering Group: For over 35 years, our exceptional catering service has crafted dining experiences in Chicago’s most renowned venues. Anita Dee Yacht Charters can also accommodate any licensed or insured cater not listed here for an additional fee. If you are looking to truly blow your guests away, Anita Dee Yacht Charters can provide your event with unrivaled entertainment. Both of Anita Dee Yacht Charters’s yachts are outfitted with a top of the line sound system that fills the boat with music throughout the vessel. All our sound systems are regularly maintained and upgraded to ensure a quality experience for you and your guests. Stitely Entertainment: Our entertainment specialists will collaborate with you to customize the performance based on your vision to ensure the perfect party experience. Windy City Mix: We are the one-stop-shop where you will find the very best in dependability, service, and entertainment for your special event. 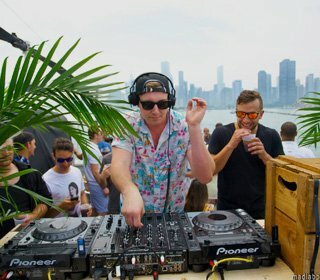 If you’re looking to spice up your event, Anita Dee Yacht Charters can provide you and your guests a chance to dance the night away your party sails pass the historic Chicago skyline. In addition, our hospitality specialists can accommodate any insured entertainer not listed here for an additional fee. A private boat rental is a splendid way to celebrate your marriage, host a corporate outing, or treat your guests to a once-in-a-lifetime party. Our yachts can accommodate up to 400 guests, and we will work diligently to ensure your guests will never forget your event. To book a private boat rental aboard one of our beautiful yachts, contact Anita Dee Yacht Charters at (312) 379-3191 today. Process was very smooth. From getting the contract signed to the time we docked when things wrapped up. Sales process was a zero pressure experience. I was presented the pricing and dates that were available. The rest was in my court. In comparing the prices with other companies, I realized Anita Dee was the best choice. Post-sale, I would get a quick response to my emails. All my questions were answered going into the day of the event. Day of the event, my guests experienced first class service from a wonderful crew of five. My guests and I got everything and then some from the team at Anita Dee. I would definitely recommend them for your outing. I have no doubt I'll continue to do business with them. This experience was amazing. The staff was professional & friendly. All aboard were like family..most were. We had a fun & fantastic time. Had an absolutely amazing time on the Anita Dee II! Anita Dee's Event Coordination team will assist you in customizing every detail to provide an unforgettable experience. You may choose your event dates & times, cruising routes, decor, floor plan, bar service and more. Our event coordinators will assist you from the first contact to the day of. Your complimentary event coordinator will insure every detail is covered and guarantee the integrity of your event! Anita Dee Yacht Charters has hand-selected the finest in catering and entertainment to provide you with outstanding service, and help create the perfect event. Both of our vessels are equipped with a full-service galley, as well as a state of the art sound system, offering endless cuisine and entertainment possibilities. Each one of our exclusive vendors was chosen based on their customer service, creativity, variety and flexibility and are ready to assist you with the utmost level of service and satisfaction.